Also serving communities of Cedar City. The average cost of memory care in Saint George is $3,998 per month. This is lower than the national median of $4,650. To help you with your search, browse the 2 reviews below for memory care facilities in Saint George. On average, consumers rate memory care in Saint George 3.5 out of 5 stars. Caring.com has helped thousands of families find high-quality senior care. To speak with one of our Family Advisors about memory care options and costs in Saint George, call (855) 863-8283. The beauty and culture of St. George, Utah, provide the basis for the city’s resort atmosphere and private 55+ housing developments. Nearly 22 percent of the 84,405 people in St. George are over 65, compared to 10.8 percent of Utah’s population of 3.1+ million, and the Alzheimer’s Association projects that 31,000 people in Utah have dementia or Alzheimer’s disease. Four Alzheimer’s and dementia facilities in St. George serve the region. 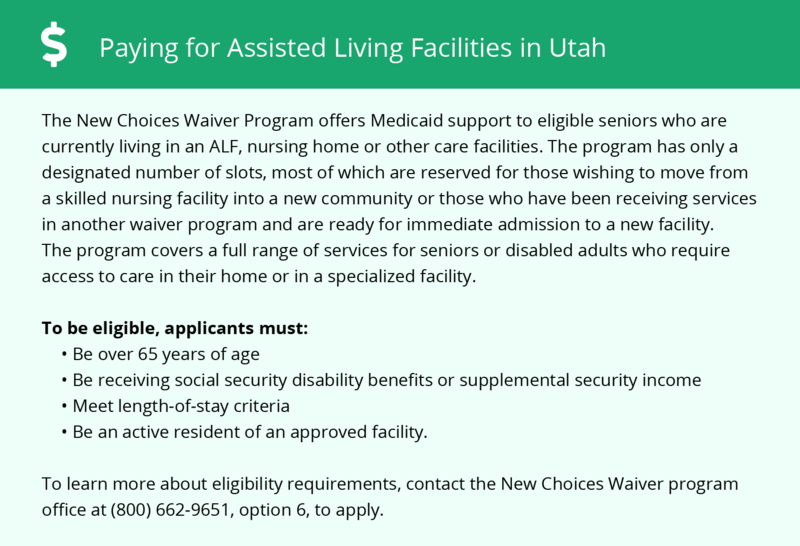 Utah licenses memory care and assisted living establishments as type II assisted living facilities (ALFs). St. George is a safe city with crime rates lower than the national average. The index for violent crime is 11.0 compared to 31.1 for the United States overall. Property crime has an index of 32.8 in St. George and 38.1 in the nation. Although summers are hot in St. George, winters are pleasant. Temperatures reach the low 100s for summertime highs and drop into the low 30s in the winter. The climate is arid, with just 8 inches of rain annually and 3 inches of snow. Summer monsoon storms bring brief, heavy rainfall and winter moisture is often in the form of snow. Strong sunshine melts the snow on the sidewalks, roads and parking lots quickly, reducing the likelihood of slipping and falling. On average, the city sees 255 sunny days each year. The air quality in St. George is generally good, although the summer sunshine and exhaust from vehicles and landscaping equipment increase ozone levels. Ozone is a known respiratory irritant, especially for seniors whose respiratory systems are vulnerable. Dust is another air-quality issue affecting seniors in this dry climate. The city and county minimize dust by requiring a permit for any land development projects that exceed one acre. The cost of living in St. George is slightly over the national average. Housing costs drive it up, followed by health care. Transportation costs are well below the national average and food is on par. The median price of a home in St. George is $273,500 compared to the national median of $216,200. Such high values help senior homeowners who need memory care better afford it because they can cash out their equity. St. George is home to world-class medical facilities, including those specializing in brain health and dementia care such as Dixie Regional Medical Center, in the event of medical emergencies or illness. Memory Care costs in Saint George start around $3,998 per month on average, while the nationwide average cost of memory care is $4,798 per month. It’s important to note that memory care rates in Saint George and the surrounding suburbs can vary widely based on factors such as location, the level of care needed, apartment size and the types of amenities offered at each community. 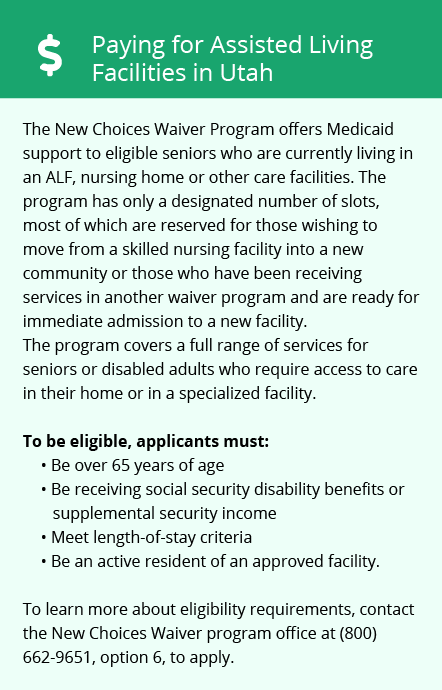 Saint George and the surrounding area are home to numerous government agencies and non-profit organizations offering help for seniors searching for or currently residing in an assisted living community. These organizations can also provide assistance in a number of other eldercare services such as geriatric care management, elder law advice, estate planning, finding home care and health and wellness programs. To see a list of free memory care resources in Saint George, please visit our Assisted Living in Utah page. Saint George-area assisted living communities must adhere to the comprehensive set of state laws and regulations that all assisted living communities in Utah are required to follow. Visit our Memory Care in Utah page for more information about these laws.